HCSEG is seeking volunteers to help monitor outmigrating summer chum in the Union River! HCSEG staff will train you on how to conduct monitoring, and all waders/boots/equipment will be provided! 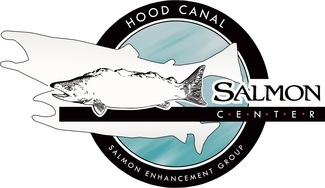 Please plan to meet at the Salmon Center (600 NE Roessel Rd., Belfair) prior to the 9AM departure. If you would like to bring a friend, please fill both slots if they are available. If not, let us know and we can prepare for extra volunteers on that day. Clicking below will add 133 entries from this sign up page into your personal calendar program. Your calendar will be kept in sync as more people sign up. If you want to sync the items you signed up for, login to your SignUpGenius account and go to the "Invited To" page.